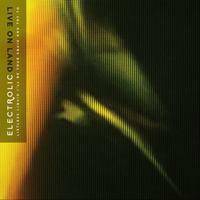 Electrolic-Live on Land. Electrolic is the latest project from Scott Gagner, who's released discs under his own name and Cartographer that have been featured on this site. This time around, he's teamed up with Steve Enstad for a work that's similar to his previous offerings but a bit more electronic and psychedelic. "Hello Hello" is a catchy opening number that serves the purpose of its title, while "Benefit of the Doubt" is the kind of lush, intricate pop Gagner has become known for, but with a synth twist. The highlight here is "Refreshing", which at its roots is a jangly pop song but becomes a distillation of what the album is all about with its drum loops and psychedelic sheen. Also of note are "After the Fall" (another jangler at heart) and "Belmont Pedigree" (a twisty rocker recalling later-period Wilco). While this is all a bit off the beaten power pop path, it's still rewarding and enjoyable listening. Paul Rocha-Crayons. 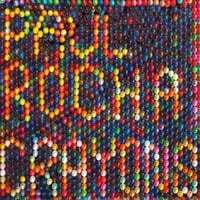 Californian Paul Rocha describes Crayons as "British Invasion by a left-handed American" and his take correctly pegs the album as a somewhat quirky, tongue-in-cheek evocation of Beatlesque pop. Rocha's pop is similar to artists like Roger Klug and XTC, and opening track "Sevens into Nines" gives you a good idea where he's coming from as it segues from sweet pop into a White Album-like guitar freakout into a bombastic pop song. Meanwhile, "Peaches and Lemon Lime" takes a slight psych turn (love that sitar) in its straight-ahead power pop, "Medicine Ride" is McCartneyesque chamber pop, and "Don't Go in the Water Now" and "Fairies in the Yorkshire Glen" have that Andy Partridge pastoral feel. Elsewhere, Rocha offers up his twisted yet melodic outlooks on Amelia Earhart, peace signs on the wall, and why nobody names their babies Adolph (or OJ or Lee Harvey) any more. Another excellent pop disc in a year full of them.